Unite For Sight recently hosted its inaugural Social Entrepreneurship Institute, a day-long event dedicated to social entrepreneurship across a variety of sectors, including health care. With more than 230 participants, the event was a phenomenal success (full disclosure: I work for Unite For Sight), and allowed attendees to learn from innovative non-profit and for-profit organizations, as well as to network with other guests and speakers about their social ventures. 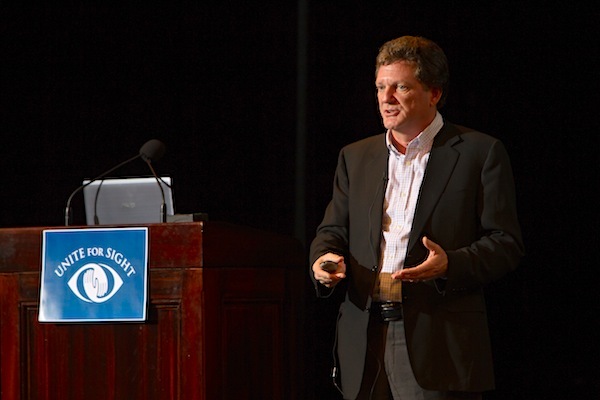 The event, which complements Unite for Sight’s annual Global Health & Innovation Conference, focused on several key best practices in social entrepreneurship, from beginning an organization to measuring impact and eventually scaling up. The day began with a keynote from Ned Breslin, CEO of Water For People. 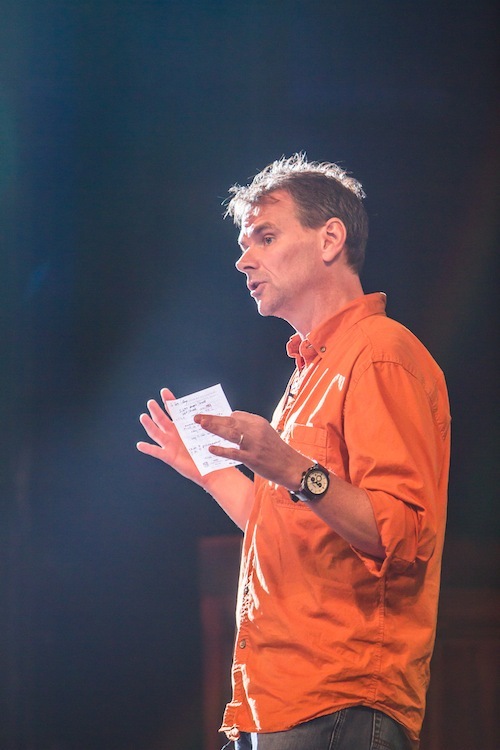 His talk, “Rethinking Social Entrepreneurism: Moving from Bland Rhetoric to Impact,” looked at his work in water and sanitation, and served as an introduction to one of the day’s most critical themes: impact assessment. A common thread throughout the Institute was the idea of looking beyond mere product and profit to the actual on-the-ground impact. Breslin explained that his new water and sanitation program, Everyone Forever, does not focus on the inputs and outputs, including water provided or girls returning to school. Instead it centers instead on attaining the ideal vision of what a community would look like with improved water and sanitation, and working to achieve that goal. Instead of working on fundraising only, Breslin wants to redefine the meaning of success as a world in which everyone has access to clean water. Bills used this quote to demonstrate that, just like the farmers who work to harvest ingredients for Runa Tea, or the recipients of the inventions produced for the poor by Design that Matters, socioeconomic status does not preclude the right to high-quality goods and services. A consumer is a consumer, and as entrepreneurs, it is our mission to create the best possible goods and services to meet the needs of the communities we serve. It is therefore entirely ethical to market goods to the BoP, as long as these goods are meant to serve them in an affordable, realistic manner. The second panel of the day was on “Building an Effective Organization,” where we heard from Mark Arnoldy, of Nyaya Health; Donya Williams, City Health Works; and Jen Chiou, of Crisis Text Line. Both Arnoldy and Chiou discussed the benefits of crowdsourcing models, and all three speakers addressed the challenges and complexities inherent in working with trained volunteers such as health workers and counselors. Williams noted how important it is to listen to your audience and to the people you are serving. Again, the point was made that consumers, rich or poor, know what they need far better than we do as designers, volunteers, or entrepreneurs. All three speakers in this panel highlighted the importance of listening to feedback. As Chiou pointed out, the program that you begin creating might not be the same as your final product. Do Something, the organization that created the Crisis Text Line, never imagined the cries for help that they would receive when they began using text messaging to communicate with their users. By listening to the feedback and messages they received, Crisis Text Line was born, Chiou said. (Pictured left: Ned Breslin, CEO of Water For People). The subsequent panel highlighted the critical topic of “Measuring Impact,” featuring Lisa Hirschhorn, of Partners In Health; Annie Duflo, of Innovations For Poverty Action; and Salimah Walani, of the March of Dimes. All of the speakers in this panel spoke about the importance of data, both quantitative and qualitative. The speakers discussed how they assess impact in their programs, and they talked about how data analysis is an integral part of ensuring the quality of any program. Walani’s talk echoed the message that entrepreneurial ventures must grow and adapt to the needs of users. Though March of Dimes originally started in response to the polio epidemic, it is now working to ensure healthy births. Hirschhorn made the point that “every system is perfectly designed to get the results it gets”; if your methods are resulting in certain data outcomes, “changing your staff” is not going to change your results. Further, re-doing the same experiments without changing the methods will result in the same conclusions; if you’re not modifying and adapting your methods, your outcomes will remain stagnant. The last panel of the day was on “Reaching Potential: How to Successfully Scale,” and included panelists Rodney North, of Equal Exchange; Anne Sherman, of Staach, and Jennifer Staple-Clark (Unite For Sight). Rodney North spoke specifically about Equal Exchange’s co-op model, and discussed how this model helps the company scale their success. Rodney, like Tyler Gage from Runa Tea, works for a company that markets to the general public, and he discussed how Equal Exchange’s focus on organic and fair-trade helps build popularity among consumers. Sherman, who works at Staach, a design firm whose clients include Google and Shake Shack, discussed how her organization stays true to its mission when working for third-party clients. Along with the other speakers, she discussed the ways in which her company ensures quality control, especially during the scaling process. As a B-Corporation, Staach measures outcomes in job growth, employee ownership, energy use, targeting underserved communities, along with a variety of other triple bottom line metrics. The Social Entrepreneurship Institute was an inspiring event that will surely motivate both up-and-coming and established non-profit and for-profit ventures. Listening to speakers from a multitude of social enterprise and global health sectors talk about the power of entrepreneurship, and the importance of measuring positive impact was both engaging and insightful. Those interested in these issues of innovation and impact should consider attending the 11th annual Global Health & Innovation Conference in April. Rachel Turkel is the program manager for Unite For Sight.